Howard Henry is the Chief Financial Officer and Co-Founder of Good Steward Business & Benefits Consulting, LLC. As CFO, Howard oversees the company’s accounting and finance operations and ensures all internal processes are built on best practices used to minimize risk. He partners with the CEO on all strategic initiatives of the company and provides oversight on projects involving process improvement, quality assurance, compliance, and internal audit. In his over 15 years of experience, working with three publically traded companies, he has gained knowledge in a wide range of federal regulations that govern the financial industry. He is designated as an Internal Audit Practitioner by The Institute of Internal Auditors, a Certified Receivables Compliance Professional by DBA International, and has completed several certification programs regarding management systems and management development. He has also been recognized as a Credit and Collection Compliance Officer by the Association of Credit and Collection Professionals. Through progressive responsibilities throughout his career, Howard has become an expert process builder and consistently develops functional teams that exceed business objectives. He has a proven record of streamlining operations leading to increased efficiencies and effectiveness of processes under his responsibility. Howard also currently serves as the Assistant Vice President of Insolvency and Subsidiary Compliance for a global and publicly traded specialty finance company. He is responsible for the compliance control testing for the corporate office and all subsidiaries in the Americas including the U.S., Canada, and Brazil. He also oversees the risk assessment processes for the bulk of the organization and actively works with executives to ensure the company stays in alignment with its Compliance Management System as defined by the Chief Compliance Officer and Board of Directors. Howard is proud to have served his country in the Gulf War and has earned the Surface Warfare Specialist designation while in the United States Navy. His military service provided him with a strong work ethic, discipline, and fortitude that he now applies to his civilian life. 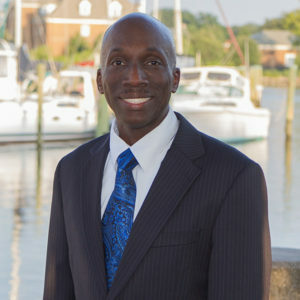 Ultimately, his military experience inspired Howard to attend college at Norfolk State University, where he obtained his Bachelor of Science degree with honors in General Business with an emphasis in Finance and a Master of Business Administration from Regent University with a concentration in Organizational Change and Development. Good Steward Business & Benefits Consulting, LLC was founded upon a firm belief in the importance of integrity in service and performance rather than just short-term profitability. As Chief Financial Officer, Howard ensures that Good Steward continues to embody these ideals.